Black Friday Amazon device discounts: sale starts now! Amazon US reveals early price drops on its tablet range and more. Amazon is fully gearing up for next weekend, with some seriously impressive Black Friday deals set to drop. But for those of you in the US, the wait is over, with the retailer kicking things off earlier than planned and releasing some huge savings ahead of the big shopping event. So if you've been thinking about investing in an Amazon Fire Tablet, you're in luck. 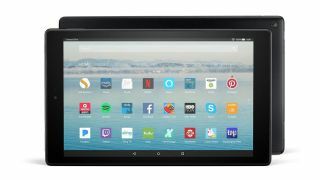 Starting from tomorrow, and in the days leading up to Black Friday, Amazon US is slashing prices on its very own tablet range, information on which you can find below.